Spending time in the kitchen is one of my favorite ways to enjoy days off. From cooking fun dinners and baking sweet treats to recreating restaurant favorites, the kitchen definitely can be called my happy place. 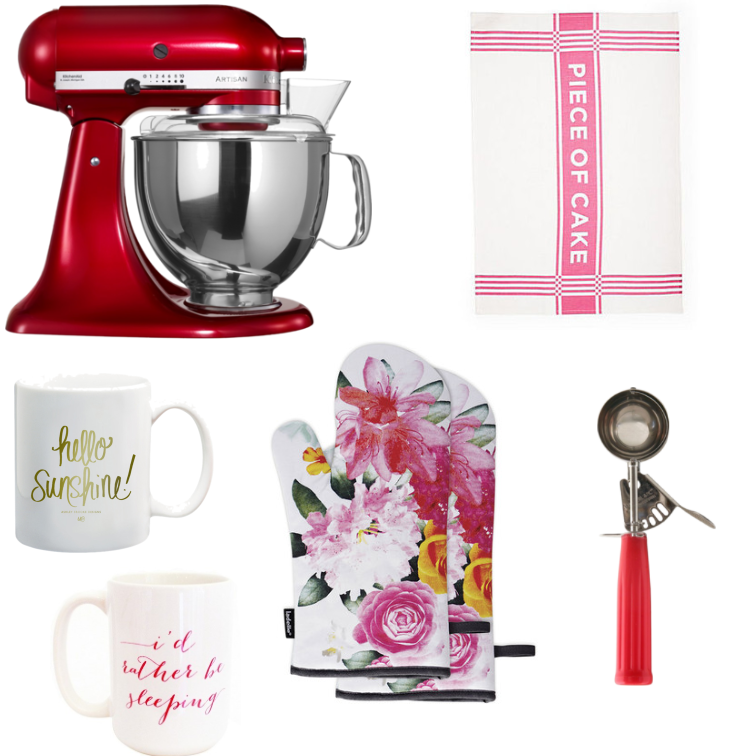 With that in mind, it follows that I love being able to make cooking and creating even more fun with the chicest and sweetest kitchen accessories. I've always been a huge fan of the vintage items you can adorn your kitchen with from great places like Anthropologie and now One Kings Lane. This oven mitt set is in my baking closet right now along with the cutest matching apron. The apron selection at Anthro is amazing! I'm also always looking for colorful ways to add character and charm to the kitchen. This darling little dish towel does so perfectly. Being an avid mug collector, I just couldn't pass up this one. Cocoa and tea are just seem sweeter when enjoyed in your fave ceramic. For more wonderful home inspo, you can check out my In the Kitchen and For the Home boards on my Pinterest page where there are loads of recipes and home decor ideas to share. 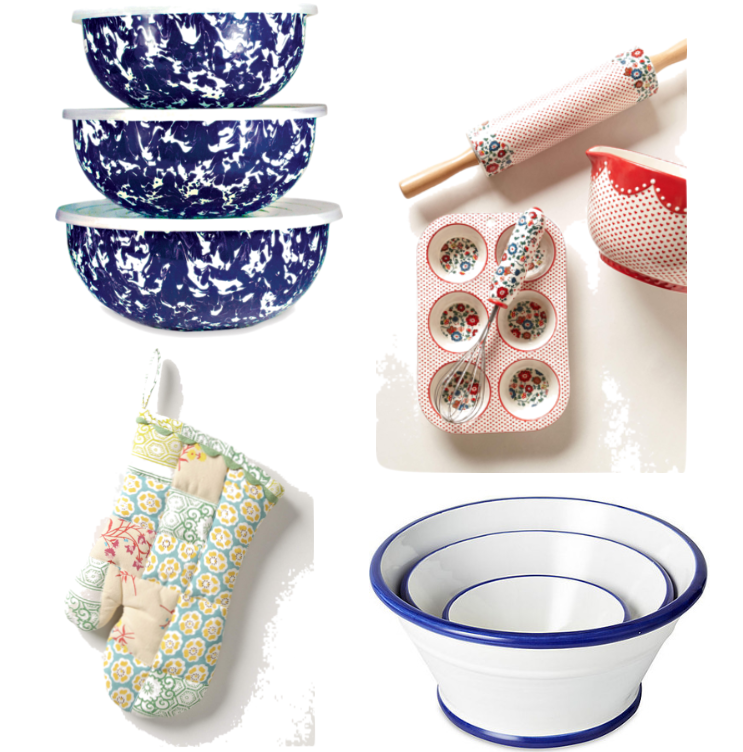 You can also shop my kitchen faves via the links below. Hope you're all enjoying a wonderful Wednesday!